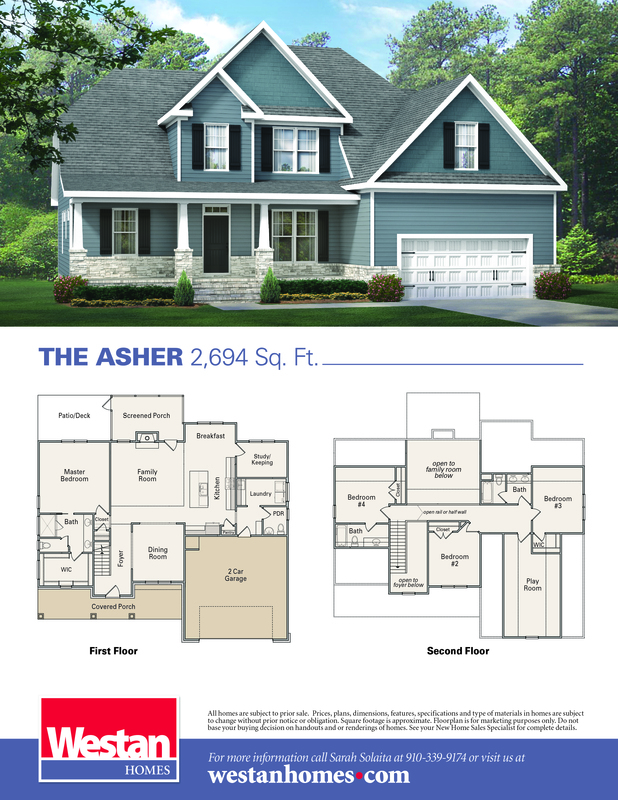 The Asher features 2,694 square feet of open living space! As you enter the foyer you will have the elegant dining room that opens into both the family room and the extra large kitchen. The kitchen is truly the center of the home in this beautiful plan! Boasting plenty of cabinet space and a large center island makes this home perfect for entertaining friends and family. Just off the breakfast area is a room perfect for office space or a craft room. Your laundry is also conveniently located on the first floor. Around the corner of the family room you will find the spacious Owner's Suite with a walk in closet every homeowner will love! Traveling upstairs to your second floor you can enjoy the two story foyer and family room. The second floor offers two additional full bathrooms along with three bedrooms. We cannot forget the playroom which is perfect for family movie night or game room!